A couple of weeks ago, I gave a talk at Wilbur Wright College to more than 100 college leaders. I spoke to my experience as a first-generation college student, now the first in my family to attain a doctoral degree. I shared some relevant student development theories, national data on first-generation student demographics, and highlighted a study conducted about the community college onboarding processes. We focused in on the inherent differences in college administrator definitions and perceptions of processes such as admissions, enrollment, and new student orientation from those of first-generation students. I wanted to share some of the remarks I gave regarding some connections I’ve made recently about retention and storytelling. I want to preface this writing by saying that Wright College is doing some amazing equity work. I was in awe of the faculty and staff collaboration, implementation of LEAP’s High Impact Practices (AAC&U), and the spirit of the work led by some very amazing women of color at the college. Here is a section of the longer keynote address, The First Gen Mindset: Closing the Opportunity Gap for First-Gen Students of Color. I left out the opening remarks about a storytelling project I’m working on called The First-Gen Mindset. For more details, check it out here. Why should you be interested in first-generation student populations? What do we know about first-gen students? Regarding college participation, these characteristics are top priorities for First-Generation students: familial support and pleasing family members, preparation for the workforce, cost of attendance, financial assistance (availability and offered). First-Generation students are more likely to be students of color, from low Socio Economic backgrounds, and women (HERI report, American Freshman). A fun fact that you should know about me is that I was born in a pink military hospital on the island of Oahu. As a child, I travelled between the mainland US and the Hawaiian islands to visit family often, so I became accustomed to traveling on airplanes very early in life. How many people (in this room) have ever been on an airplane? How many people have been on a plane so many times that you have lost count by now? What do you remember about your first flight? What new sounds, new sights, new textures did you experience for the first time? What did you pack for your plane ride? How did you prepare mentally, physically? What did it feel like to be thousands of feet above the ground? Yesterday, I boarded a plane and as I located my seat on the window, I readied myself to pick up my rolling bag and flip it sideways, almost predicting the narrowness of airplane aisles. As I neared the row where my seat was located, there was a mother and daughter sitting in the row as well. The mom and I communicated about my aisle seat, she stood up and then her daughter stood up and the young girl was smiling. This young person, who couldn’t have been more than 8 years old, stood in the row in front of her seat until her mom motioned that she needed to move further out into the aisle and toward the back of the plane, so I could move in to the window seat. I got situated in my seat and discover that the young girl was flying for the very first time. She clarified immediately that it was actually her second time, however, she was too young to remember the first time. So, this flight was like her second first time. During our flight, she asked her mom questions about all the noises she heard, asked if we had taken off yet as we taxied the runway. She had so many questions and so many observations of newness. She even asked her mom a couple of times, “Well, how do you know that?” Questioning the responses she received as she tried to absorb all this new information. Those of us around her, especially her mom, played an essential role in shaping her experience, by responding to her questions, modeling the behavior conducive to riding in a plane, her mom held her hand as a visible display of support and solidarity. Her mom eased her child’s anxiety by saying that the noises were to be expected, that we hadn’t taken off yet and she would know when did take off, and that everything was okay. She said that multiple times, “Everything is okay”. These messages and her hand held firmly, visibly relaxed her child, and she ended up quietly reading her book for the remainder of the flight.Why do I share this story with you today? Surely, I can share my travel experiences on my own time and not bore you very busy professionals with the details…What relevance does this child’s first flight have to do with the topic of equity? of college retention and student success? First, children offer us so many opportunities for new learning, of re-explaining, re-examining, of having to construct knowledge by practicing the tradition of oral history and storytelling. They approach experiences and norms from such a unique place. They help us position ourselves in their perspective, to engage consciously in the ways in which we normalize and become socialized to receive many of our daily surroundings, norms, and customs as mundane, difficult to notice their nuances until we experience some sort of dissonance that causes us to notice them. This newness of perspective, or as qualitative researchers frame this as cultural naivety, to provide an outsider’s perspective to existing cultural and social systems and processes. I have noticed that similarly, first-generation students offer up dynamic insight into the ways in which we structure college admissions, onboarding, and enrollment processes. The freshness by which they experience our systems and institutions offer unique insights into our policies, practices, and systems. I am suggesting a culture of explicit campus storytelling, of identity-centered story sharing by all members of the campus community. 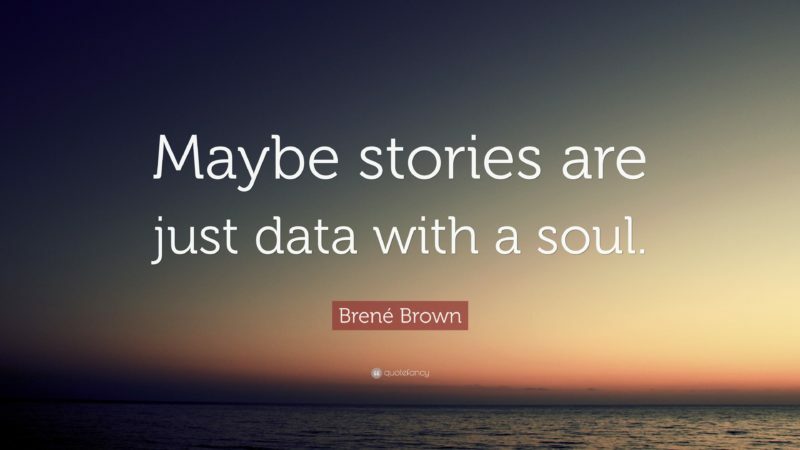 A culture that moves beyond reliance and sole valuation of quantitative data, one that asks each of us to center our identities and experiences, our stories, from an acknowledgement that they absolutely shape the environments we create, the campus climate they cultivate for students of color and for first-generation students. I’m sharing a model of praxis, of partnership, and one that can address some of the existing power dynamics that occur when we don’t consistently remind students of their agency, that their voices are powerful, and that stories offer us points of connection across difference. What if me moved beyond the one-dimensionality of data to inform equitable student success practices? What if we’re missing out on the essence, or the “soul” of student success measures? What happens when we uplift campus cultures that value consistent, open, clear, channels of engagement in personal narratives between campus community members? What does data truly tell us about the essence of student pathways and retention? How does data tell the story and capture the nuances of Black and Latinx students navigating our campus environments? The story can offer a narrow portrayal of student success as one potential source of information to contextualize the current state of student achievement. What can data tell us about intersectionality and its applicability to pathways for students with multiple minoritized identities? First-generation students can help to shed light on our assumptions and the inherent bias we bring to our role as college professionals and scholars. Together, we can unearth the fine grained details and nuances of the water in which we collectively swim.